Xiaomi Mi Band 3 has been out for almost a year, and its successor might launch sooner than later. In September last year, Xiaomi launched the Mi Band 3 fitness tracker, which received a positive reception from critics and audience. Recent rumors claimed that its successor, the Mi Band 4, will go official in China sometime in March or April. While addressing the company’s fourth-quarter and full year earnings for 2018, Huami Chief Financial Officer, David Cui, confirmed that the Mi Band 4 won’t be launching in March or April. However, he did confirm that the Mi Band 4 will be debuting sometime this year. While we wait for Xiaomi to confirm something, the Mi Band 4 just got Bluetooth certification, which confirms its existence. There however is no clarity on the band’s key specifications. The listing reveals that Mi Band 4 will bear model number XMSH08HM, and it is said to support Bluetooth 5.0 (low energy), and NFC. 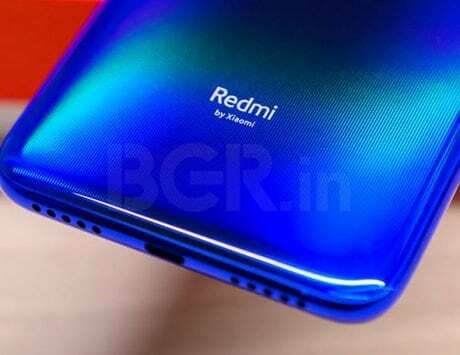 The production is being handled by Xiaomi’s subsidiary Anhui Huami Information Technology Co. Ltd.
We still don’t know much about the design and specifications of the device, and also the segment that Xiaomi plans to target with its wearable. The first Mi Band was a basic fitness tracker, but Xiaomi added an OLED display, heart rate sensor, pedometer and calorie counter to the second-generation model. There is a possibility that the Mi Band 4 will have even more advanced features. Xiaomi has found great success in the entry-level wearable segment with its Mi Band series. Cui also confirmed that the revenues of the company grew by 78 percent in 2018. He further stated that it will work with Xiaomi to decide on the right time to launch the Mi Band 4 this year. The rumor mill is speculating that it may come equipped with a color display. Some reports have also stated that it could be equipped with ECG capabilities. The Mi Band 3 was unveiled on May 31 in China alongside the Xiaomi Mi 8 series of smartphones in the previous year. The fitness tracker was then brought to India in September with a price tag of Rs 1,999. Some of the key features of the Mi Band 3 include an OLED display, 5ATM water resistance, 20 days battery life, and improved step counting and heart-rate monitoring.